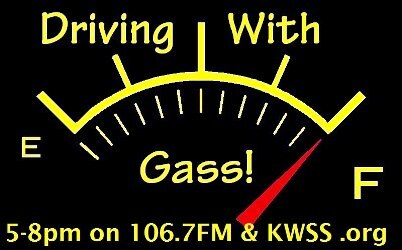 If you are unaware, for the last few months SoundsAroundTown has been making a weekly break into radio courtesy of The Driving With Gass show, courtesy of Kevin Gassman, Cindy Love and everyone at KWSS 106.7FM (soon to be 93.9FM!!!). In a one off meeting with Gassman and Love last fall where we both happened to be at the same broadcast at the same time they cordially invited me to join them on their radio show each Wednesday to spotlight local happenings throughout the weekend and spread the word of the sounds that were, indeed, around town. This has become a weekly thing and now, in working with Nigel L’Amour’s UK Connections seems to consume much of their Wednesday night show. Though it’s been a regular thing for Gassman to invite bands to play and record on his show, we’ve recently invited bands I’m completely keen on to do just that. This is the first of those results. We have big plans awaiting these recordings, but we invite you to listen in here, and on the show each Wednesday night from 5pm-8pm to enjoy all that we can bring to you, perhaps in a way you’ve not heard before. Welcome to a new installment on SoundsAroundTown.net where we offer exclusive recordings of bands we captured live on the air in all their perfection. When we do the show in a super, secret location it often amazes us with the sonic beauty that results. There is really no reason for these recordings to sound as great as they do, except that Kevin knows where to place the mics in a room that should not allow for these kind of acoustics. 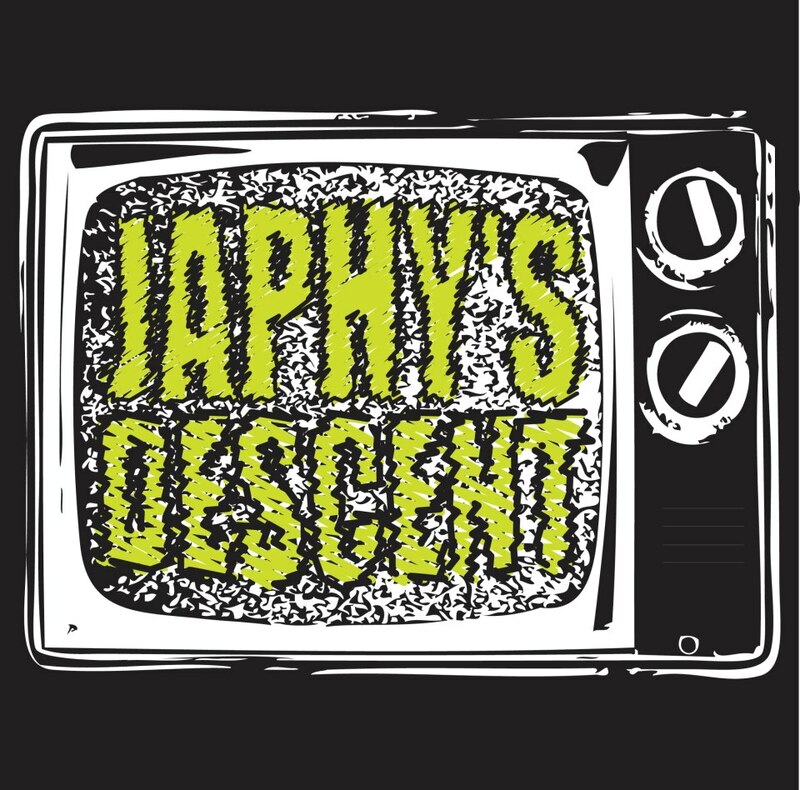 In the time that I’ve been working with the Driving With Gass show, the first encounter was Japhy’s Descent in an immaculate recording of the heretofore unrecorded new song “The Owl.” I’ve been threatening to unleash this recording and with Japhy’s permission, have been allowed to with welcome support. Kevin is the soul engineer here, Cindy Love smiled the entire time and I was simply in utter ecstasy. The combination of Travis’ brilliant vocals, Martin’s searing guitar, Brian’s amazing bass and the unworldly drumming of James has become something that my soul, spirit and ear are literally addicted to. For one thing it’s rock’n'roll, for another it’s just sheer fun to enjoy love, to let loose and have a good time to, but this has been said of many a bar band, but this bar band has an edge and that edge is a magical charm in the sense that the lyrics they sing, the music they play, the crowd they draw is all enamoring stuff. Maybe what it really means is that they’ve now played hundreds of shows and they know what works, what doesn’t, what’s perfect, what isn’t, they are wizened by time and for that they are brilliant. Lately, in the weekends I’ve been out, I’ve been happy to catch them twice each time and I’m always thankful for each moment I do. The recording below we captured, unexpectedly, one night on the SoundsAroundTown feature on Wednesday’s during the Driving With Gass show on KWSS 106.7. This was a magical experience. I had caught the debut of “The Owl” at the Rogue a week or two before and as Martin Sugg recalls, “I remember you were drunk as hell going on about that ‘See You In The Air’ song.” He was not wrong and I was, but honestly, not that intoxicated, I was, if anything, liberated by a long awaited new song by Japhy’s Descent. And for its debut in that venue, I was simply stunned. I was even more stunned to hear it shortly thereafter played with such eloquence, off the cuff in front of radio station microphones, acoustic and coming out that well. “The Owl” is the first song to emerge from their next record concept which is based around The Tao of Pooh in which Benjamin Hoff assesses the character universe created by A. A. Milne within the realm of Eastern Philosophy and the various archetypes of which each character defines. Brilliant, then, with any understanding, that Japhy’s Descent would choose good old Owl. In recent shows they’ve been adding trumpet and harmonica to their tunes with some extra players, that I honestly hope stick around because it makes their sound that much more exciting, but for right now you can enjoy this–sit back, put on the headphones or blaze it through your speakers, for here is “Owl” from Japhy’s Descent. If you want to check this out in real life with your own ears, you have two very amazing places to do so this weekend, oddly both on Saturday, March 2nd as they pull double duty, first performing at the Huckleberry release show at The Sail Inn on the inside stage at 7:30pm, then at 9pm at at Lawn Gnome Publishing during the SXSR festival in downtown Phoenix. Pick a show, pick both, either way you win. Great review. I just got a copy of this track and can’t wait to hear them tonight again at PubRock Live.